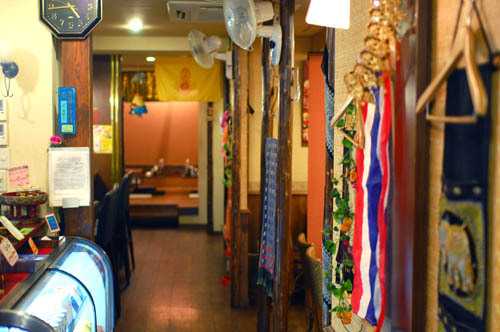 Good, accessible Thai food in a comfortable setting. 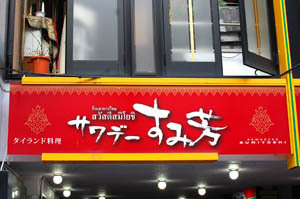 Set-price dinners start at just Y980, which gets you a main dish (red or green curry, pad thai, etc. 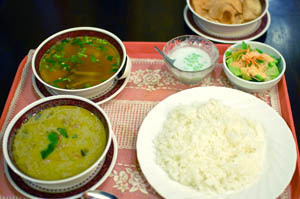 ), tom yam soup, an unexciting mini-salad with Russian dressing, white rice and a pleasant tapioca-coconut milk dessert. Thai sukiyaki is Y2800/person (minimum two people), and other prix-fixe menus start at Y3500. There's also a decent-sized a la carte menu of standard dishes and chef's specials. The dining room is spacious, and the background Thai pop music appropriately bouncy. Naka-ku, Nagoya, Sakae 3-9-30, Tsuge Bldg 2F.